Luxury Thailand Holidays – where first-class becomes affordable. The Kingdom of Thailand – a majestic destination for those looking for affordable, luxury holidays. With Thailand holidays, there’s nothing quite like the Thai mix of immersive culture, tantalising food, spectacular scenery and, of course, deep relaxation. As a country, it’s been favoured for decades amongst travellers with a taste for exotic treats, yet despite its long-term exposure to tourism we know the places that still offer a genuine Thai experience. From indulgent retreats at boutique, spa resorts in the foothills of Chiang Mai or Chiang Rai in the north to the ultimate in small, luxury, beach hotels at Krabbi, Khao Lak or Phuket in the south, we’ve hand-picked an exclusive selection of four and five star hotels, resorts and villas in some of the Thailand’s most breath-taking locations. Luxury Thailand Holidays, imagine relaxing in exclusive, five-star surroundings on Koh Munnork one of the world’s most sought-after private islands. 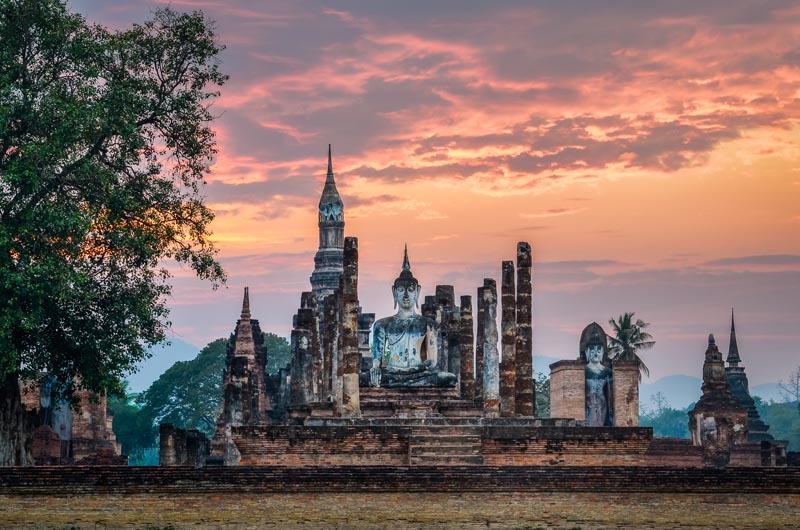 Or if exploring Thailand’s rich, cultural history is more your thing we have exquisite properties at unrivalled locations for the best temple tours. If you’re looking for a twin-centre Thailand experience we’d suggest bringing together the vibrancy of city-life in Bangkok with the tranquillity of a ‘back-to-nature’ retreat – the gorgeous island of Koh Samui perhaps – whether, it’s Gulf of Thailand islands or Andaman Ocean beaches, Thailand still has it all. Thailand holidays & deals you can’t find online … start researching holidays to Thailand and you’ll quickly discover how diverse it is. With so much on offer finding great deals on exactly what you’ve been dreaming of can prove difficult. Our team have unrivalled, expert knowledge which means when it comes to getting first-class treatment at a great price, you can be confident you are in safe hands. Calling one of our Asia experts on 020 3824 8444 really is luxury Thailand made easy.